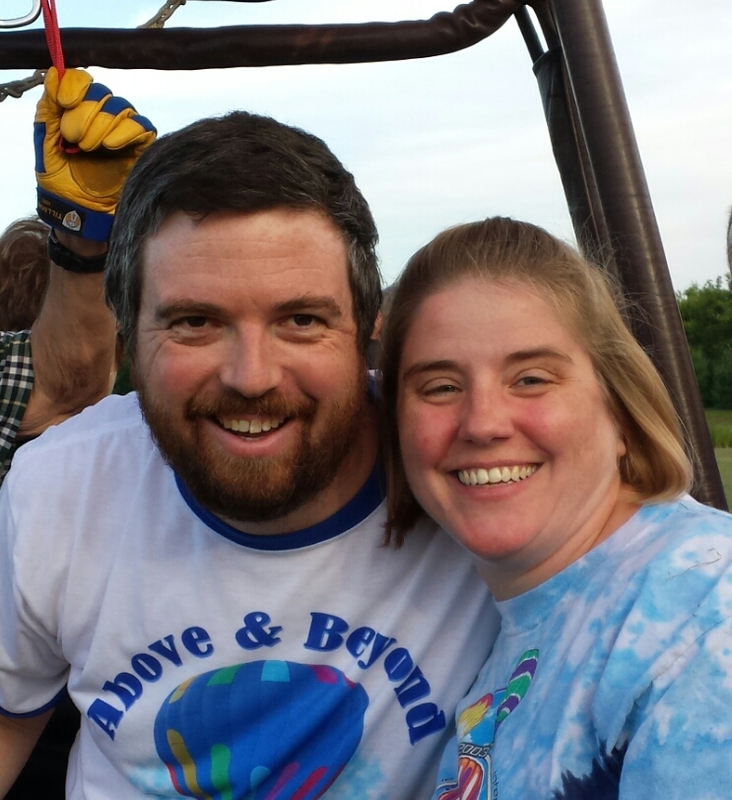 Our Team — Above & Beyond Balloon Co.
Meet our flight team: Highly trained + lots of personality! Safety of our passengers is our number one priority. We do everything in our power to make your hot air balloon ride experience a wonderful memory. Nick has been a full time, FAA certified Commercial Hot Air Balloon Pilot since 1982. Nick has been an FAA Safety Counselor for Hot Air Ballooning since 1997. 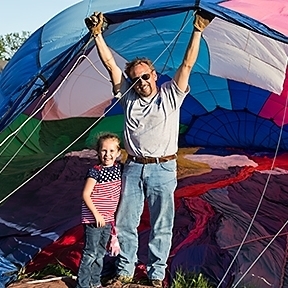 They have owned and operated the only local FAA certified Balloon Repair Station since 1992. Organizer, Safety Officer and Balloonmeister for the Indiana State Fair Hot Air Balloon Events from 1992 - 2014, and Balloonmeister/Organizer at several other local and regional events over the years. With over 2000 hours piloting five different categories of balloons, Nick and his experienced crew have maintained a perfect safety record. Nick has been a Flight Instructor for over 25 years, training student pilots to attain the mental and physical skills needed to pilot hot air balloons. Both are 30+ year members of the Balloon Federation of America, and have held many offices in the Montgolfier Society of Indiana over the years. Frequent speakers at regional Balloon Safety Seminars on Pilot Decision Making, Pilot and Crew Safety and Hot Air Balloon Maintenance. Over the years they have conducted hot air balloon advertising programs for such high profile companies as Gerber Collision and Glass, Collision Cure, Conseco, Kodak, Habig Garden Shops, Hertz Car Rental, Indianapolis Monthly Magazine, MCL Restaurants and Marsh Supermarkets. Rick and Julie Davis, of Indianapolis, met while crewing for a pilot friend and then went on to get married. As regular team members for Above & Beyond Balloon Co., they continue to be dedicated hot air balloon ground crew and now their charming daughter Baylie has quickly become one of our most enthusiastic crew! Matt has been crewing with the Above & Beyond team for many years, and when he married Jennifer, we gained a great crew member! This duo keeps busy year-round traveling and sometimes just seeking new adventures right here at home. Both are IT professionals during the day and live in the Westfield area. Long-time crewman Tom Corbett of Indianapolis is often seen lending his height where it’s most useful - at the balloon’s mouth during inflation! An avid adventurer, Tom also enjoys cycling and participating in local theatre.